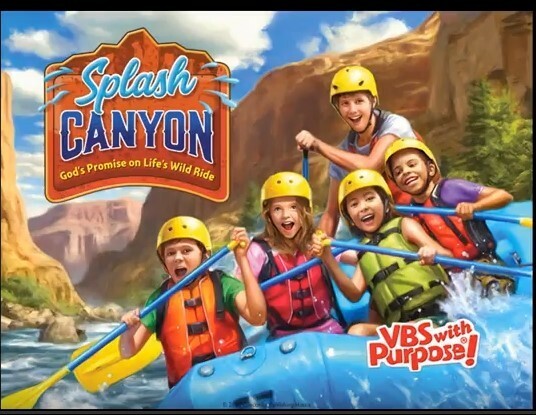 At Splash Canyon VBS, your children or grandchildren will look into the Bible, God’s Holy Word, and learn God’s Promises are Yes in Jesus! Kids confidently celebrate that our faithful God is with us on life’s wild ride. God saves us through Jesus and gives us life and hope every day of our lives and forever. Alleluia! Join us for Bible stories, music, crafts, snacks, games! Bring your children, grandchildren, and neighbor kids. Monday, June 18, thru Thursday, June 21, 2018, 9:00-11:30 a.m. 3 years-old through entering 6th grade this fall. Call the church office at 402-462-9023.